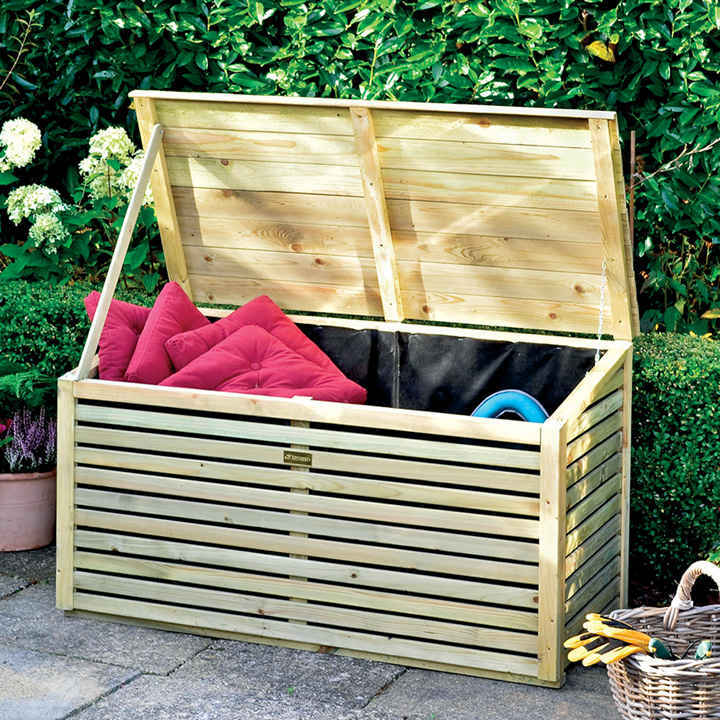 An attractive contemporary storage solution, the Rowlinson Wooden Patio Storette comes complete with a weather resistant liner to keep its contents safe from any adverse conditions. 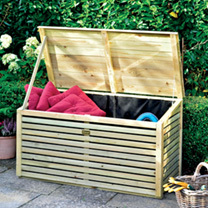 It is also features a lifting lid with stay and is pressure treated against rot to ensure longevity. Dimensions: EXTERNAL - 690mm height, 1220mm width, 595mm depth.